The Harsh Reality of Commercial Cage-Free Chickens – FIREPAW, Inc.
Excerpt: After years of pressure from animal advocates, dozens of food companies have committed themselves to “cage-free” eggs produced by hens not living in the cramped quarters known as battery cages. Now, however, some of those same advocates are turning their attention via video cameras on the farms where cage-free eggs are produced. Using some of the same tactics that drove food companies to move away from caged hens, advocates are asking whether the conditions for the cage-free chickens are much better. 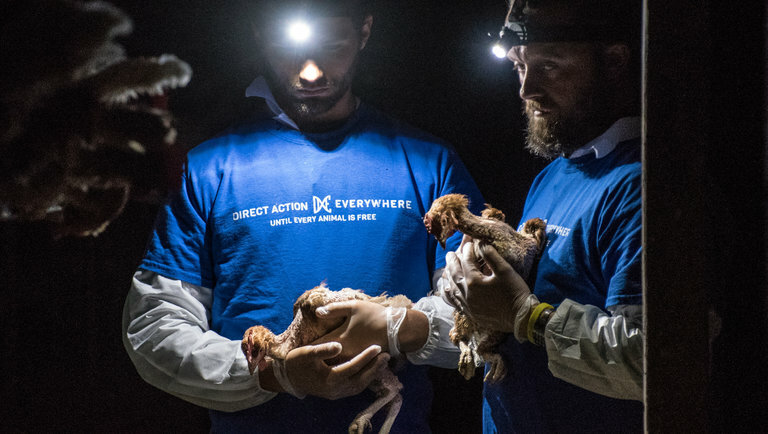 On Thursday, Direct Action Everywhere, an all-volunteer animal advocacy group, released a video of a stealth visit to a cage-free barn in California that produces eggs sold at Costco under its private label brand, Kirkland. The video shows dead birds on the floor and injured hens pecked by other chickens. One bird had a piece of flesh hanging off its beak.